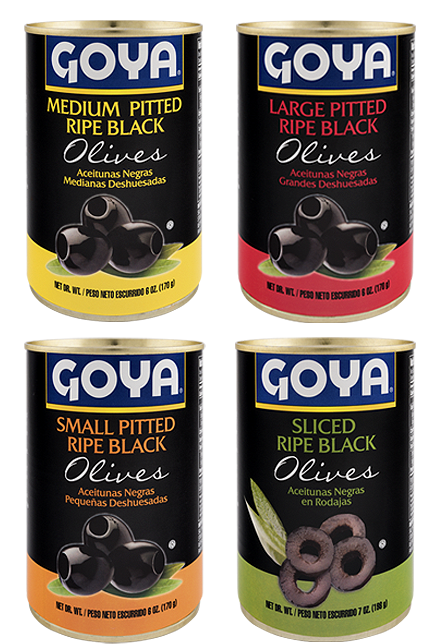 The GOYA® Reduced Sodium product line is made up of a range of specific products that we here at Goya Spain can offer our customers as alternatives with less sodium, while maintaining our incomparable flavor and quality. 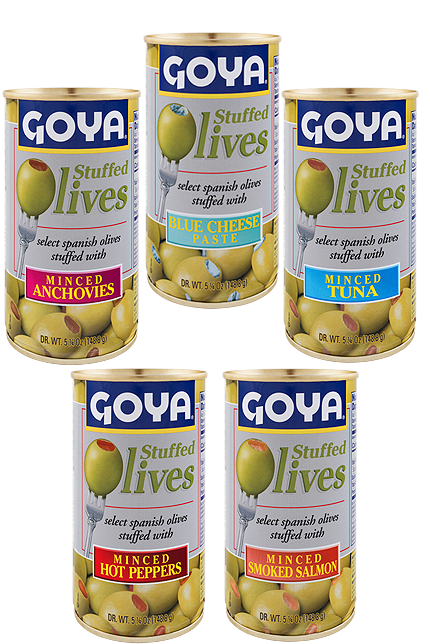 For the assortment of GOYA® Reduced Sodium olives, a light sprinkling with our Extra Virgen Olive Oil will allow us to enhance their unmistakable taste. 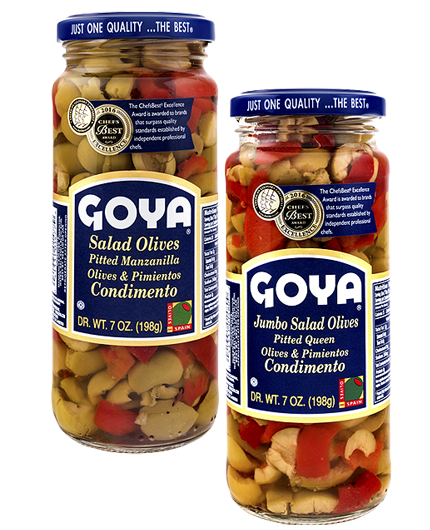 Just as with the original GOYA® products, the line of our Reduced Sodium products possesses great versatility: They can be used as appetizers or entrées at lunch or dinner, or as an original condiment or star ingredient in all kinds of dishes such as salads, casseroles or stews. 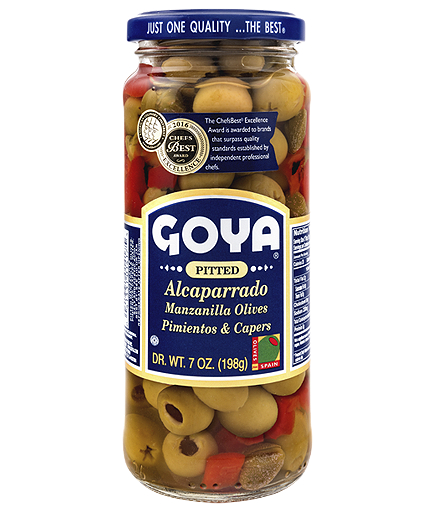 The line of GOYA® Reduced Sodium products includes Manzanilla Olives, Manzanilla Olives Stuffed with pimientos or jalapeños, pitted Alcaparrado Manzanilla Olives, Salad Olives, and Spanish and Nonpareils Capers. 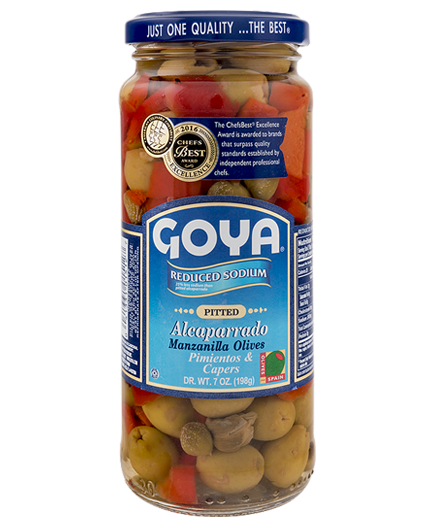 We offer an alternative for customers who worry about the amount of sodium in their foods, as well as those who are prone to hypertension and fluid retention. 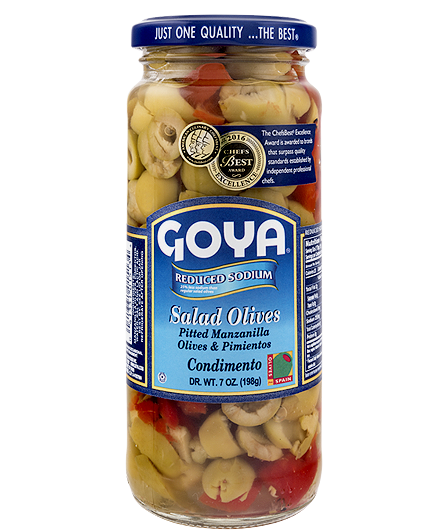 The line of GOYA® Reduced Sodium products complies with current regulations. 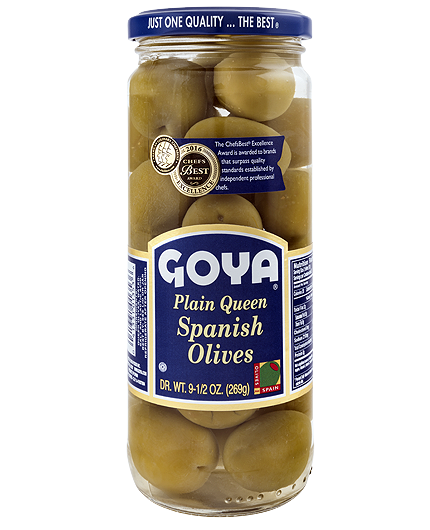 Their sodium content is 25% lower than the original products, which is equivalent to a 50% reduction in salt. 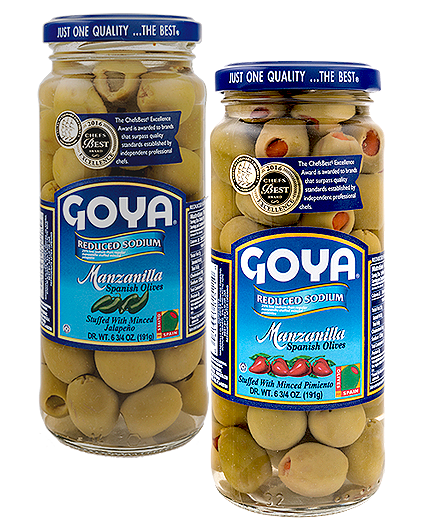 Goya Spain always preserves the originalaromas and flavors of the product. 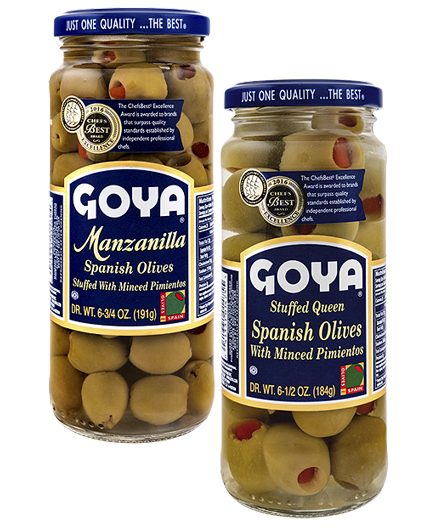 In developing the products in this line wehave paid the greatest attention to improving it even more. 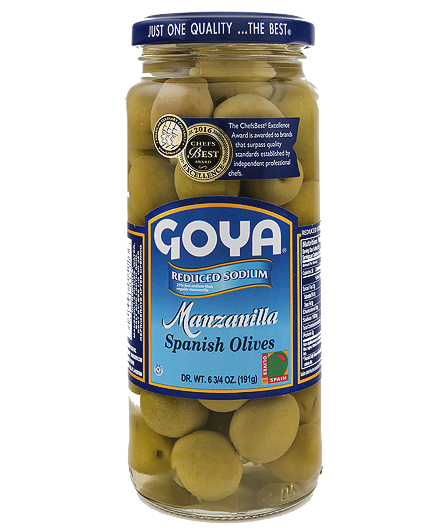 Despite reducingthe amount of salt, a natural flavor enhancer, we’ve met the challenge of maintaining the authentic tastes and aromas of our ingredients. 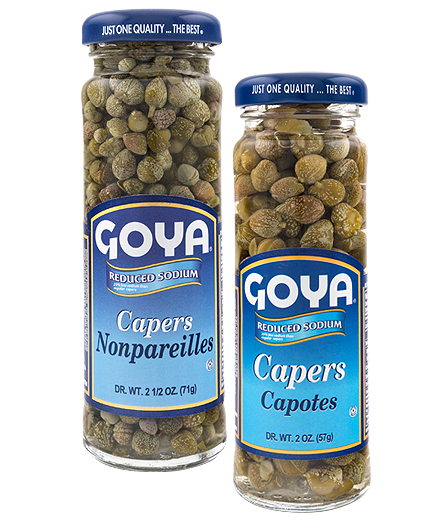 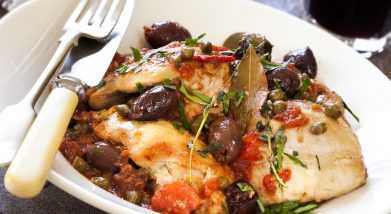 Chicken with Capers Recipe!Elaboration:In a frying pan, cook several cloves of garlic in GOYA® Olive Oil until golden brown, and cook the outsides of the chicken breast fillets slightly. 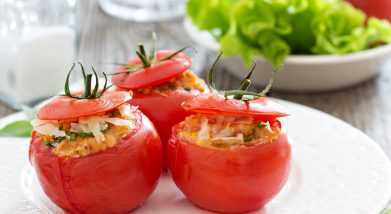 Stuffed Baked Tomatoes RecipeTo prepare this light entrée, cut the tops off the tomatoes and scoop out the seeds and pulp, seasoning the tomatoes with pepper to taste.